Some researchers from the Institut National de la Recherche Scientifique (INRS) in Canada have developed a new imaging technique. 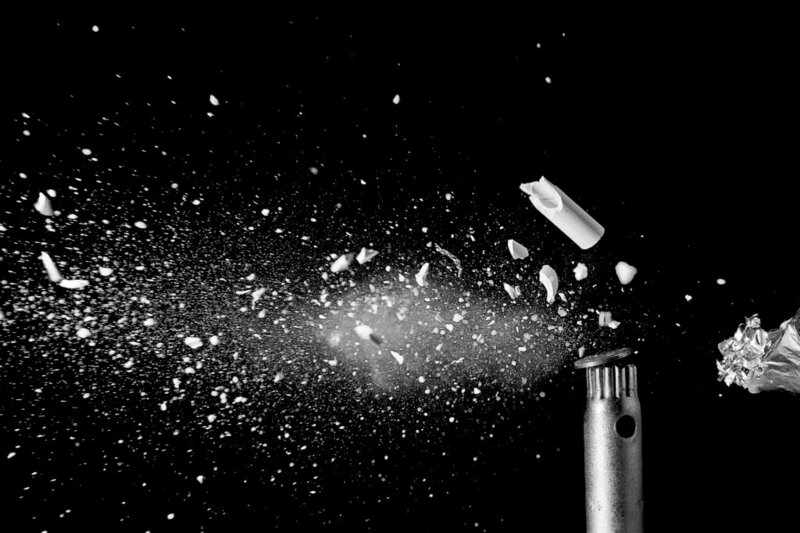 The method which is called Compressed Optical-Streaking Ultra-high-speed Photography (COSUP), pushes the limits of standard imaging sensors. Typical imaging sensors have image capturing speed limit of 100 frames per second. But with this new technology, one can nowadays shoot images at speeds of up to 1.5 million frames per second. This means that you can now capture extremely fast events even without a specialty high speed camera. The researchers describe their new technique in The Optical Society (OSA) journal Optics Letters. According to them, COSUP has a vast area of potential applications because it’s compatible with various imaging instruments. Being able to capture 1.5 million fps could greatly improve sports videography and movie production, especially for slow-motion movie scenes. The sports and movie industries can incorporate its ultra-high-speed capability to capture detailed, quick actions which can be replayed in slow motion. Moreover, it will really benefit scientific researchers too in areas such as biomedical research. Researchers can use it wherever they need to work with microscopes, telescopes and other imaging devices. There are many highly sensitive cameras today which are applicable in a wide range of wavelengths. However, they usually have low capturing speed limits because of their image sensors. Consequently, specialty high-speed cameras were born, of course, with various limiting trade-offs too. Some can record only a few frames at high speeds or trade high resolution for faster imaging. Others are capable of only one-dimensional imaging or require a bulky and expensive setup to achieve fast imaging. The design of COSUP, on the other hand, enables it to overcome these challenges by applying a different imaging approach. It combines compressed sensing computational method and optical streak imaging technique to achieve high speed. As a result, the specifications of COSUP is similar to those of existing high-speed cameras. Furthermore, it has a selection of large imaging speeds ranging from tens of thousands of frames per second to 1.5 million frames per second. In order to show what is achievable with COSUP, the team used it to capture the transmission of a 10-microseconds-width pulse of a single laser. COSUP system combines a traditional camera with a galvanometer scanner and a digital micromirror device to achieve super-fast imaging. To implement COSUP, a digital micromirror device (DMD) uses compressed sensing to spatially encode each temporal frame of a scene. This process uniquely labels the capture time of each frame in a way that it serves as a unique barcode. Then a scanner performs temporal shearing, which creates an optical streak image — a linear image carrying data on the temporal properties of light — that a traditional camera captures in a single shot. Data from streak images containing a mixture of 2D space and time information is separable through reconstruction. 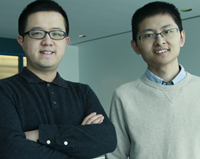 This is because of the unique labels which the system assign to each temporal frame, says Xianglei Liu, a doctoral student at INRS and the lead author of the paper. 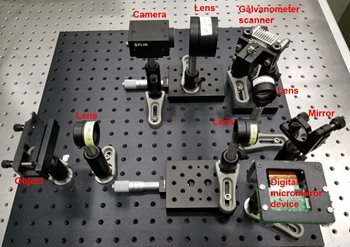 He adds that this translates to a 2D imaging field of view with a capacity to capture hundreds of frames at 1.5 million frames per second while maintaining a resolution of 500 × 1000 pixels. The researchers intend to use a COSUP system to measure the phosphorescence lifetimes of individual nanoparticles. This could be used to create an optical nanothermometer to support light-based medical photodynamic therapy. They are also planning to use COSUP to enhance the imaging of neurons membrane voltage, which can help to reveal the cellular mechanisms responsible for brain functions. COSUP is currently a bench-top system. However, researchers are trying to make it compact enough for incorporation into smartphones. They already begun an industrial collaboration with Axis Photonique to further develop COSUP toward a commercial product. Previous Post« Previous Can the Goolsky Hawkeye Firefly 8SE 4K Action Camera Compete with GoPro?